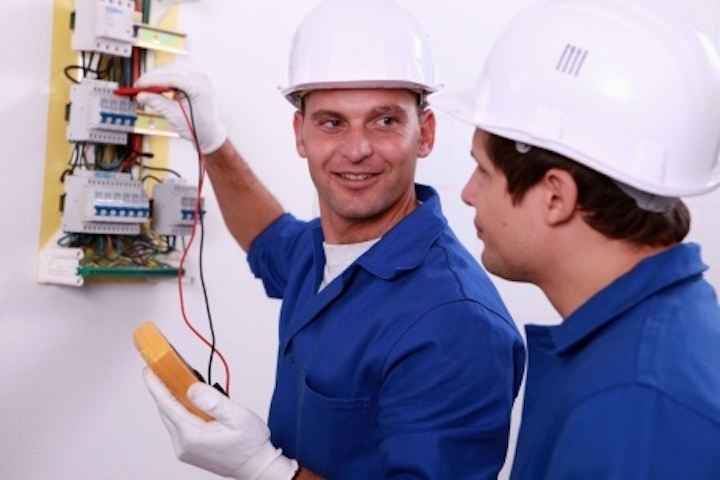 We provide electrical services in Milton, Georgia, and our professionally trained electricians are available to undertake a wide variety of different jobs. We will happily take on jobs that other electricians have turned down. Our employees are highly trained and licensed by the State of Georgia. We can install electrical systems for any structure that needs one. We know how to follow blueprints for residential and commercial buildings and adhere to local, state and national laws. Good electricians are always careful to follow the relevant building codes. The regulations are necessary for both safety and legality. You don’t want to try and sell a building and have an inspector find sub-code wiring. With us, you never have to worry about something like this happening. We begin the process of installing an electrical system by running electrical pipes through the walls of the structure. These pipes hold the wires that will be used to transfer the electricity from one place to another. Once installed, we pull the wires through the pipes and connect the wires to the circuit breaker or transformer. After we’ve completed an electrical system install, we always check and double-check our work to ensure everything is working properly. We use tools like voltmeters and ohmmeters to do this. In addition to installing a structure’s entire electrical system, our Milton electricians also install smaller low voltage systems like alarm systems, internet connections and telephone systems. Professional electricians like ours know how to safely and efficiently connect low voltage systems to the building’s electrical system. We can also install custom low voltage systems of any size or type. Of course, our Milton electricians don’t just install electrical systems. We also repair them as necessary. Electrical repair jobs, as with electrical installation jobs, can require different skills depending on the application. Residential, commercial, and industrial jobs all vary widely in size and the procedures used. Residential electrical repairs, for example, may entail updating an old house’s system or replacing circuit breakers and electrical service panels. Commercial repairs may involve replacing the wiring in a restaurant to handle new cooking appliances or fixing the power supply of a neon sign. Industrial repairs are entirely different, and many electricians don’t work on them. But we do, whether the job is repairing generators, transformers or specialized machinery. Whether you have residential, commercial, or industrial jobs requiring service, you can call us at (770) 680-2144. We are happy to answer any questions you may have. Our electricians can come out to your location and take a look. We will give you an estimate and a description of the work that needs to be performed and start on the job as soon as we get the green light from you.